This dish is for all the corn lovers. 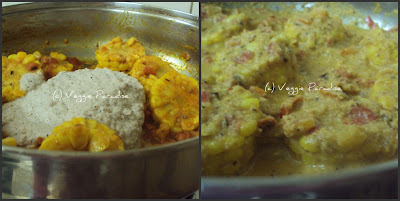 It is a great tasting recipe, with corns cooked in coconut and onion sauce.This goes well with roti's. 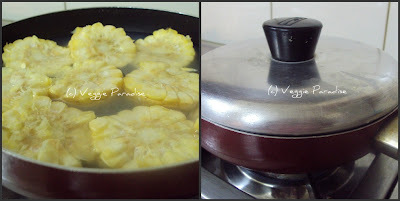 Place the corn in a pan with sufficient water. Close the pan and cook until tender. Drain and keep it aside. 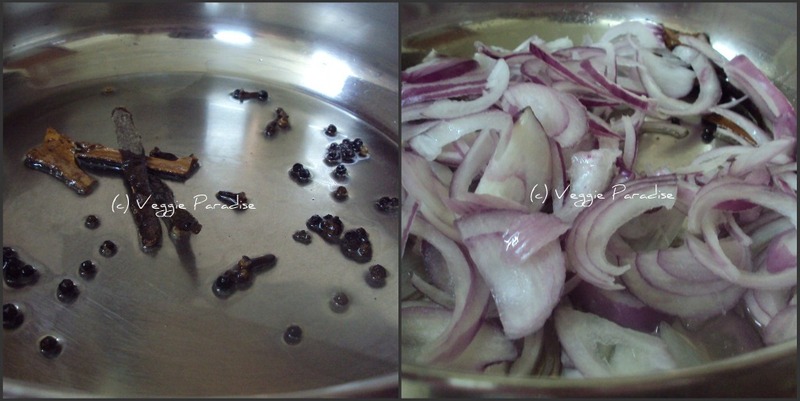 (Reserve the water for preparing the curry). Heat oil in a pan, add the spices(cinnamon stick, black peppercorns and cloves) fry for a min.Add the onions and saute until they turn translucent. 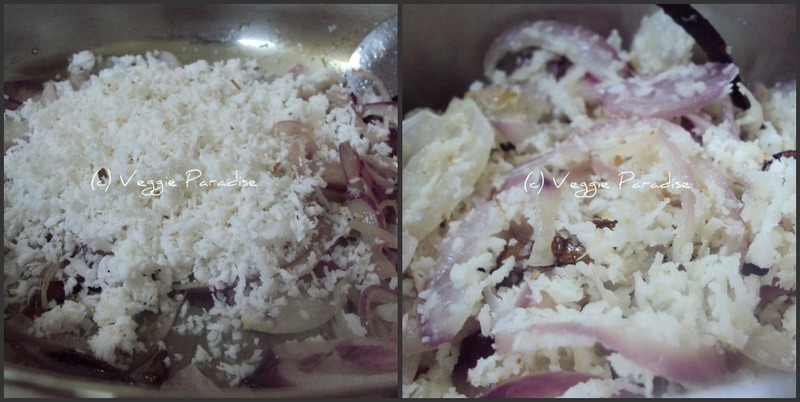 Add the grated coconut and saute until the whole mixture turns slight brown, Remove from heat and allow it to cool. Add little water and grind to a fine paste in a blender. 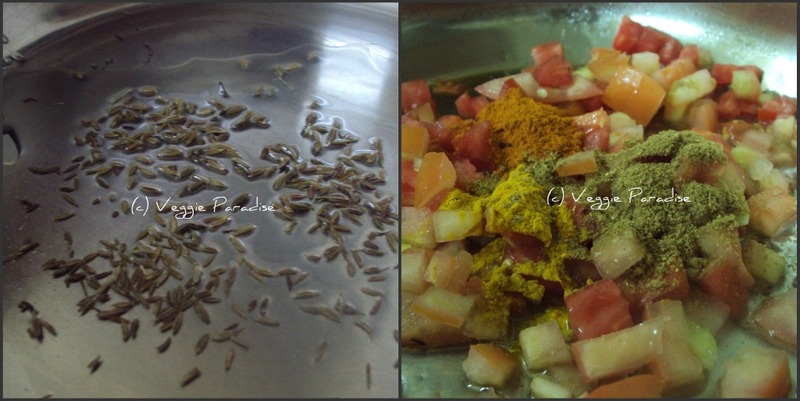 Heat another pan with oil, add cumin seeds, when they darken, add the chopped tomatoes, along with the spice powders (turmeric powder, chilli powder and coriander powder)and salt.Saute it well. When the tomatoes and the spices get blended well, add the corn and stir them gently. 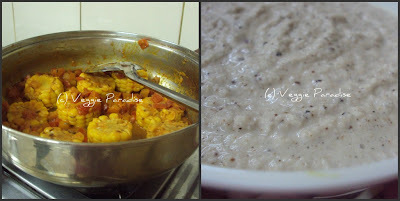 Allow the corn to cook in this sauce for a couple of minutes. Gently stir in the paste ,add few tablespoons of the reserved corn water.Keep the flame low and allow it to cook for 5 minutes. wow, this look delicious dear, never used corn cobs this way.. It looks very appealing to eyes,sure would taste great too! thats very innovative....have only eaten this the traditional way!! very innovative recipe. Kurma looks very tasty. Yum YUm! Innovative recipe... never used corn like this in Indian cooking. 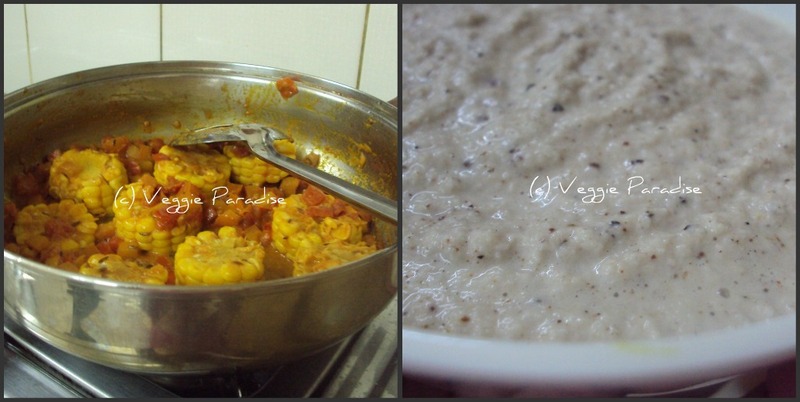 Kurma sounds delicious; the cob would still be inedible? It should flavour the curry. Thats a lovely recipe. Looks so delicious! 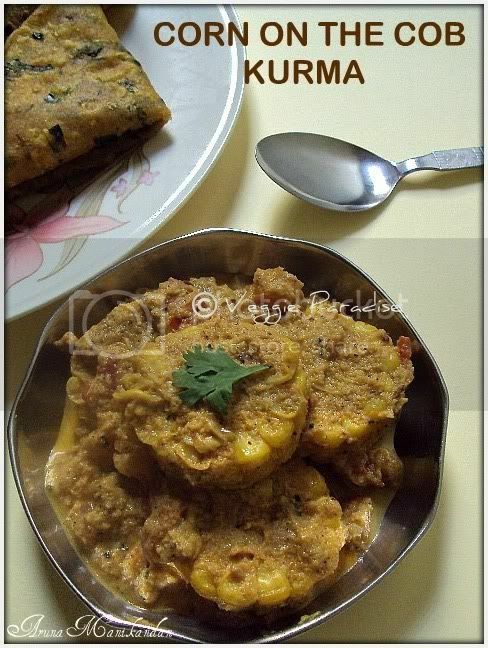 Simply delicious and yummy looking korma. A different korma! Must try this some day! It's flavourful and tempting! Lovely n unique recipe..yummy yum!! 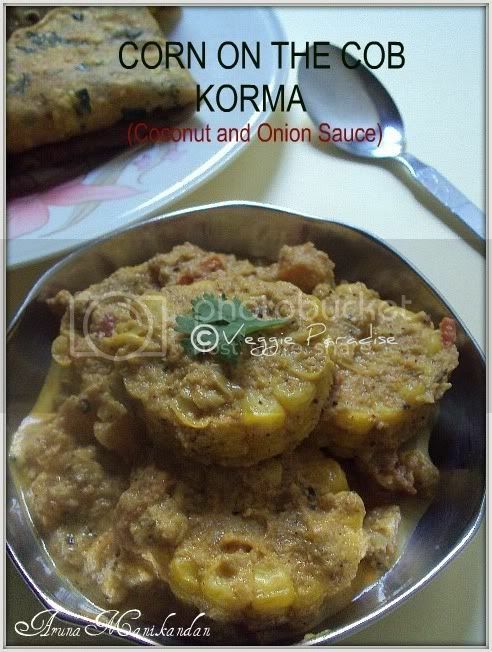 korma looks creamy n delicious! Very beautifully prepared.Looks delicious and yummy. Nice recipe and looks fabulous! Looks so yumm, ideal for a party menu. Woooowwwww!!! drool worthy. Lovely and amazing dish, never tried this before. superrrrrbbbb kurma,thank a lottt for ur visit to my space,happy to follow u.